If you are looking for an Omaha Chiropractor who will work hard for your personal wellness then Dr. Steven Shockley is exactly the right doctor for you. Dr. Shockley creates a personalized care plan for his patients based on a whole body approach while trying to address the root cause of the pain, not just the symptoms. Oakview Chiropractic Center is the place people go to begin a healthy and pain-free life through whole body wellness and alignment. 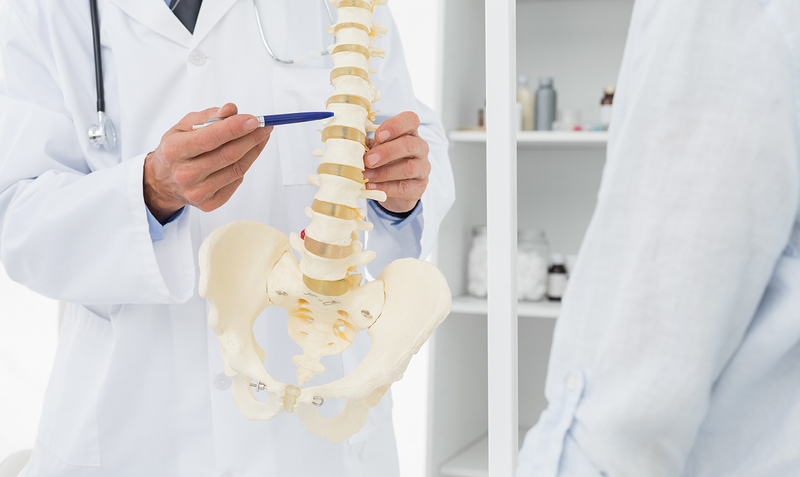 What Services are Provided by Our Oakview Chiropractic Center? The treatment of the body as a whole leads to whole body wellness, not just a numbing of a specific area. At Oakview, our services address the whole person. Chiropractic Care- Gentle and effective chiropractic correction by a professional chiropractor helps balance the core and correct any painful misalignment. A spinal adjustment can be life-changing for people with certain chronic illness and a minimal first step for others. Exercise Therapy- Corrective exercises tailer made for each specific patient and their body's needs mean that people of all stages in their wellness journey can still move productively and improve areas of the body that need toning and strengthening. Message Therapy- Like other treatments, massage therapy is specific to the needs of the patient and can improve circulation, the range of movement, and reduce pain. It is also a relaxing way to go into a work week or wind down before the weekend. Nutritional Counseling- Any whole body wellness plan will have a strong focus on good nutrition. We will help you determine which supplements and vitamins your body may need and plan an individualized nutritional guideline. It is not just about weight loss, in fact, that may not be the goal at all but balanced nutrition will improve anybody. Spinal and Postural Screening- Everyone should have their posture screened occasionally. We do public spinal and postural screenings at events and companies. Remember even if you were screened before you may need to be checked again after life events such as childbirth, weight loss or gain, and injuries. Lifestyle Counseling- We offer advice and lifestyle "coaching" to our patients as part of the whole body wellness plan. After all, if you have an issue that is affecting your health it may lessen the impact of the other healthy things you do. Whole body and life balance is key to good health. Are You Looking for the Premier Chiropractor? Call our Oakview Chiropractic Center in Omaha, NE Today! Call today to set up an appointment with Oakview Chiropractic Center to find out how we can help you reduce your pain and improve your overall wellness. Dr. Shockely is an experienced chiropractor who works with both tried and true as well as new and proven techniques.